1. 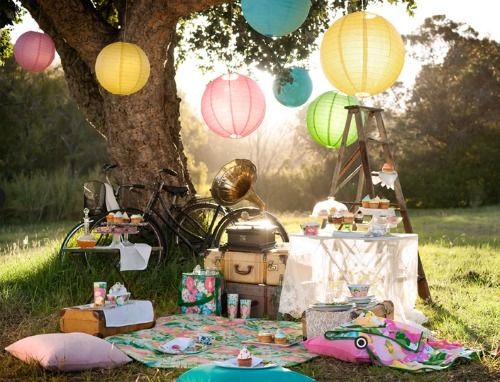 Tea Party Picnic. Hang the lanterns, lay out quilts and plump the pillows; it's time for tea! If your sweetie is opposed to anything too girly, fix brisket sliders instead of dainty cucumber sandwiches. 2. 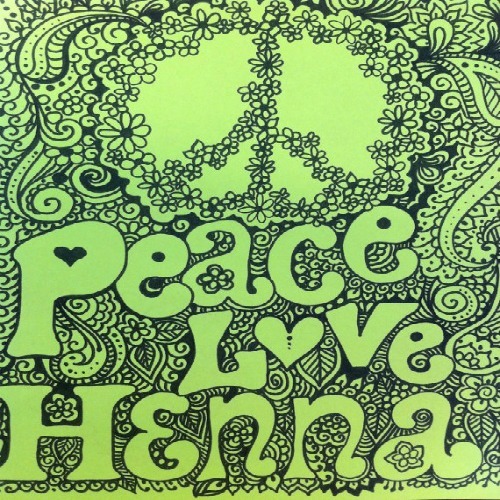 Bring out the Henna, and sketch some temporary tattoos! Too nervous about making your own designs? Choose a kit here. 3. Mud fight. 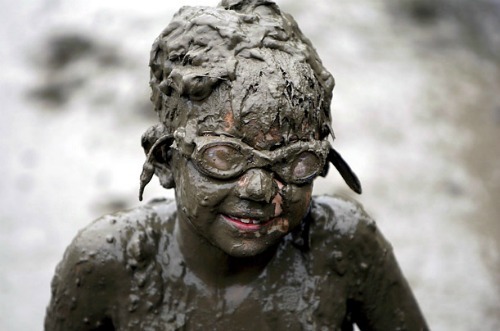 April's showers breed mud and what better than donning your play clothes and going for it! 4. Let's go fly a kite! There's nothing more playful than running around like a maniac trying to get a kite to stay in the air. You can order ones that look like birds, flowers, bats, peacocks and more from the shop above. 5. Feed the ducks. 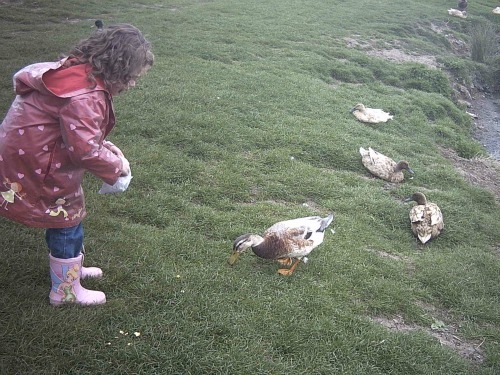 Feeding ducks always makes me think of happy childhood days. I love how they come swarming when food hits the ground or water. Since you'll probably have more time on your hand than crumbs, why not take along a Coke or Pepsi book? It has the best either/or questions; one of my favorite no-pressure conversation starters. Whatever you decide to do, I hope you'll spend a little time outside enjoying the beautiful Spring weather. Cute ideas. My boys were looking over my shoulder at this one and said that the boy covered in mud looked happy. Ha!! I think they have plans. Such a fun post. 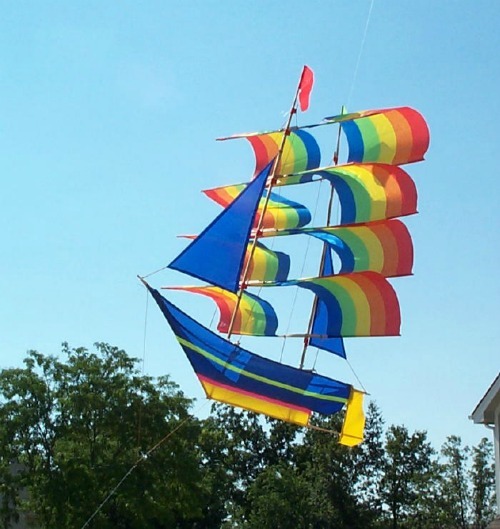 My husband and I went through a kite flying phase a few years back...hmmmm. See how inspirational you are?